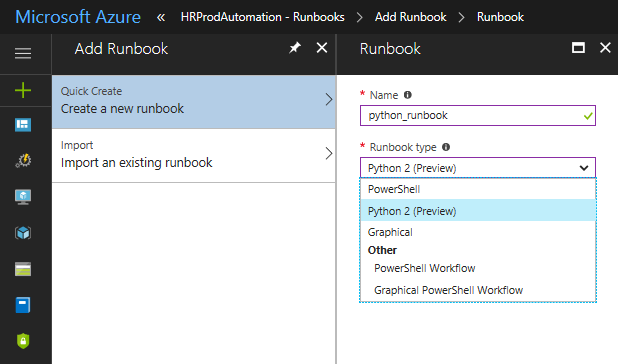 Azure Automation now supports Python 2 and Hybrid Runbook Worker functionality for Linux in public preview. Python 2 support means you can import, author, and run Python 2 runbooks in Azure or on a Hybrid Runbook Worker. Python 2 support includes scheduling and interacting with Automation resources, such as variables, connections, and credentials. 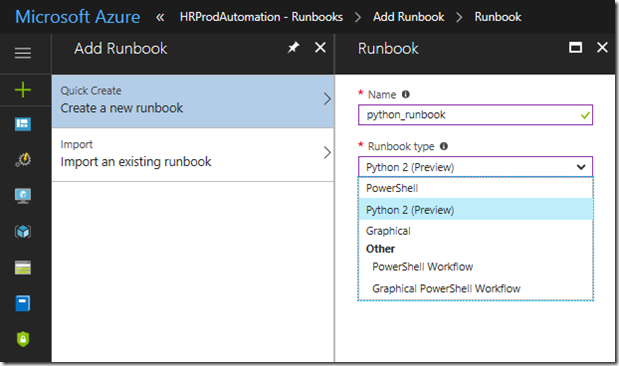 With the addition of the Linux Hybrid Runbook Worker, you can manage local resources and run Azure Automation runbooks on your local infrastructure through the Azure portal.